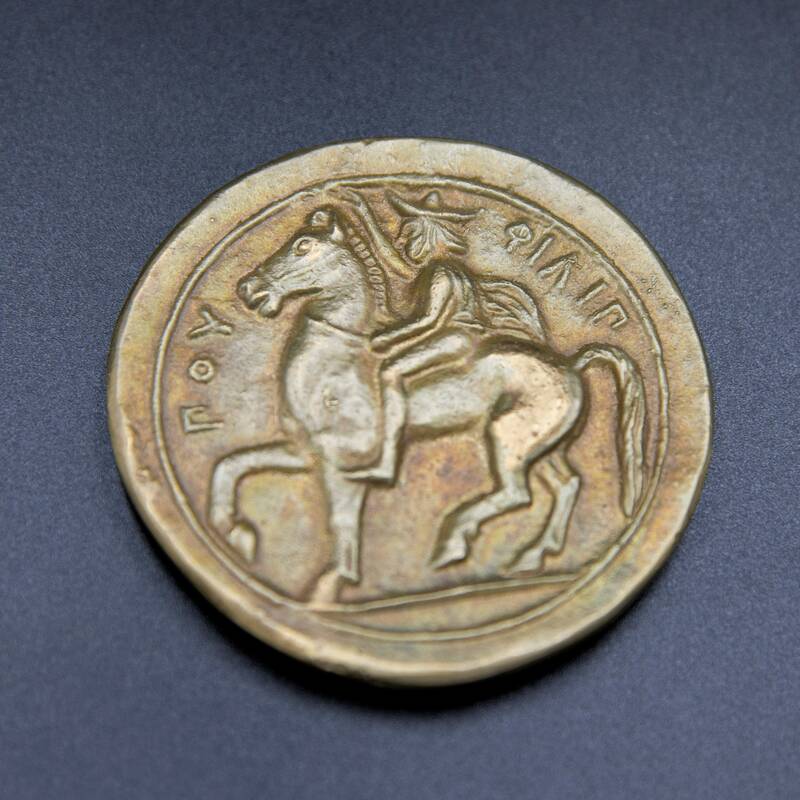 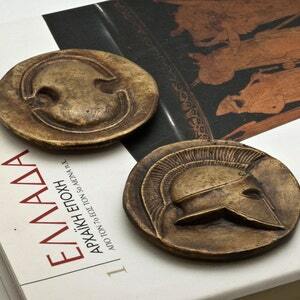 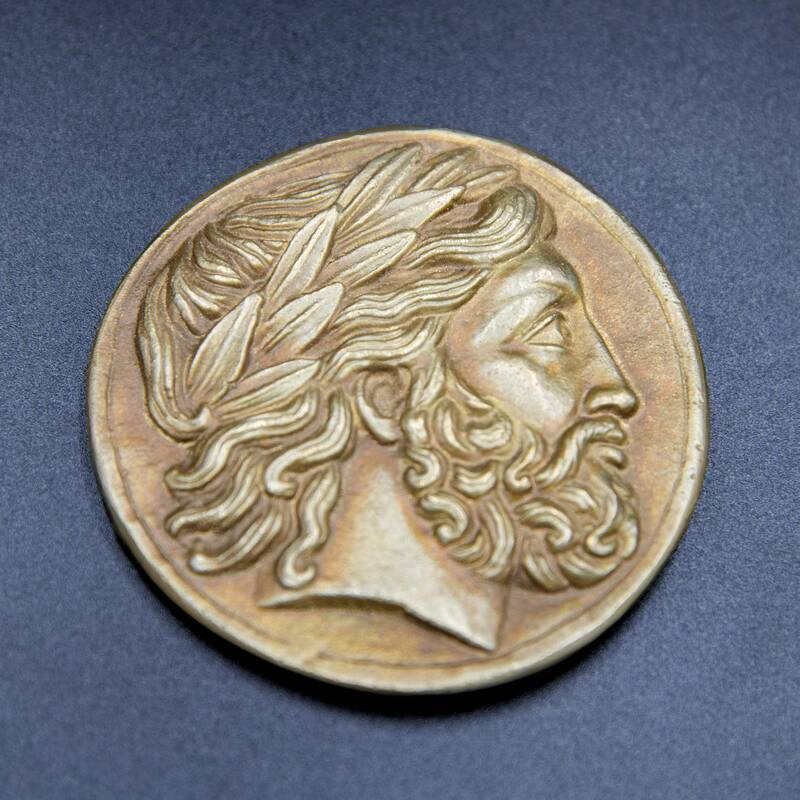 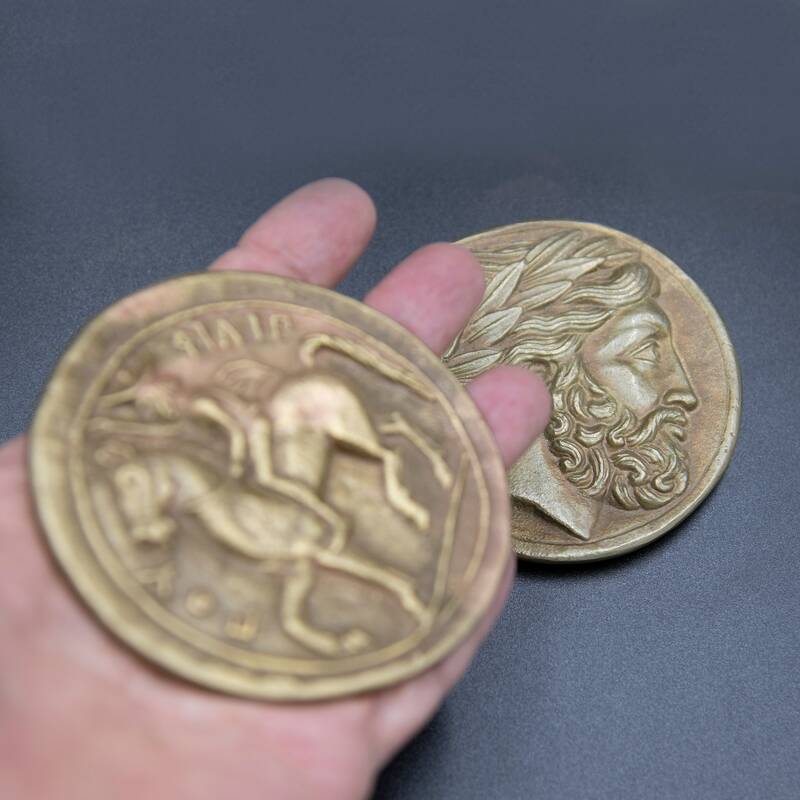 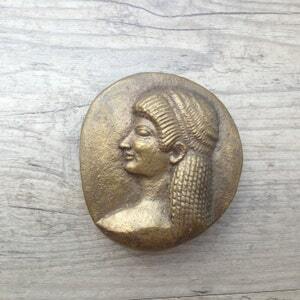 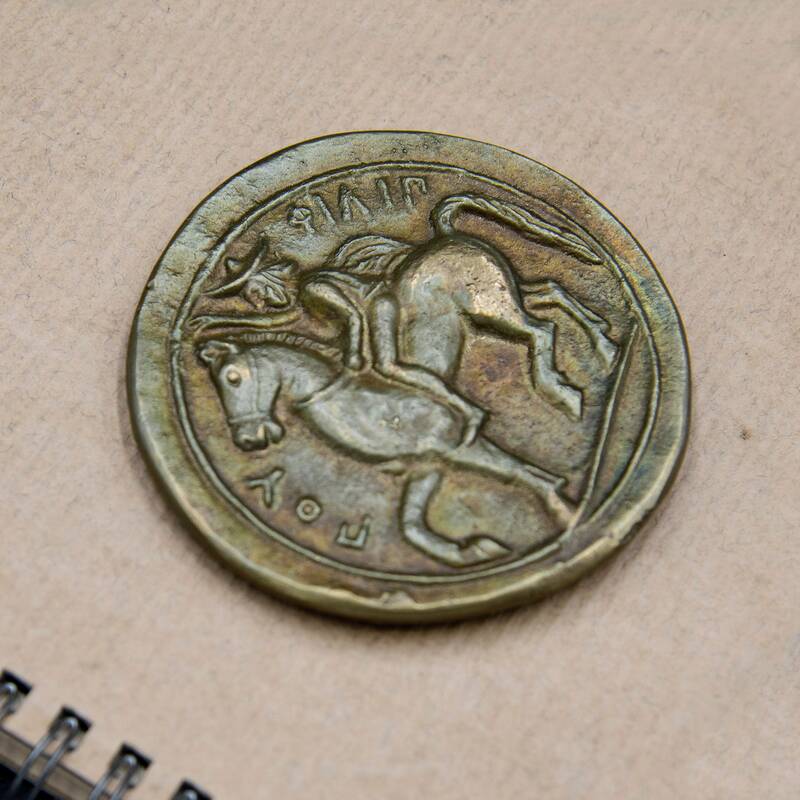 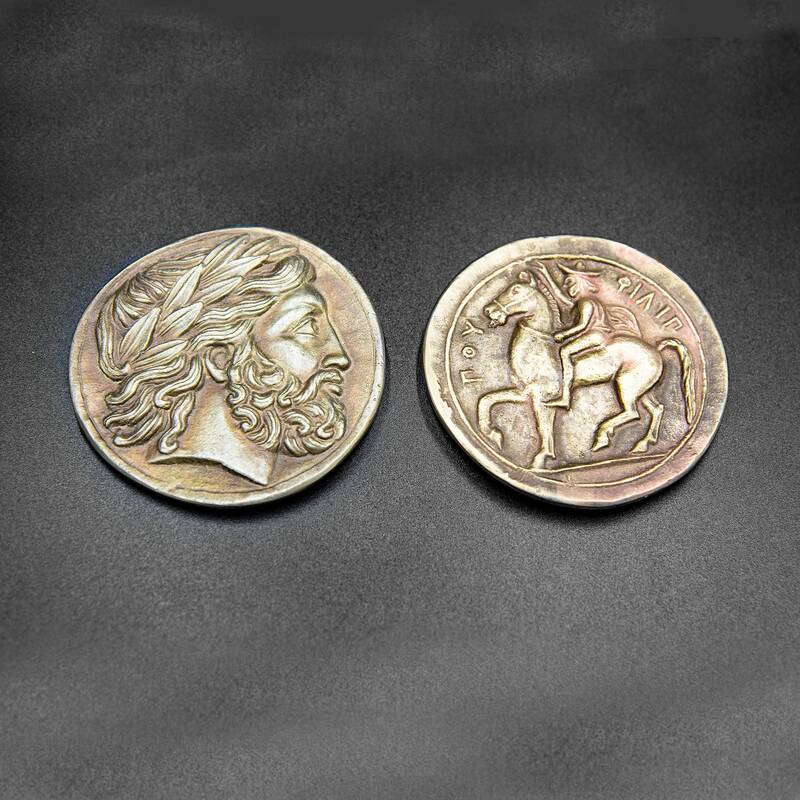 Solid bronze ancient Greek tetradrachm coin paperweight replica from the ancient Greek kingdom of Macedon of Philip II, father of Alexander the Great, 323-315 b.C. 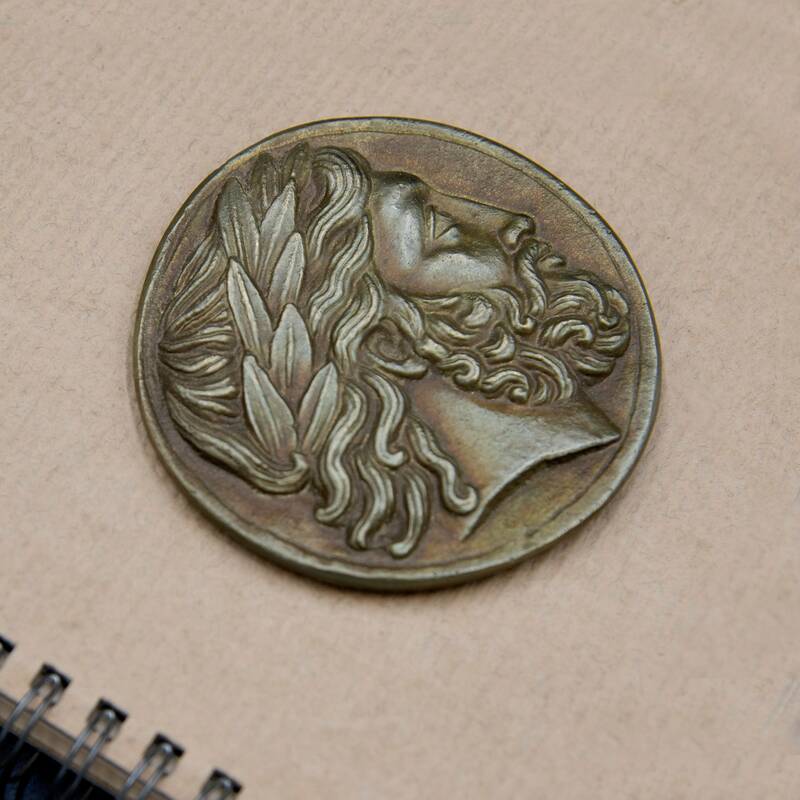 Coin paperweight diameter : 3.2 inches / 8 cm approx. 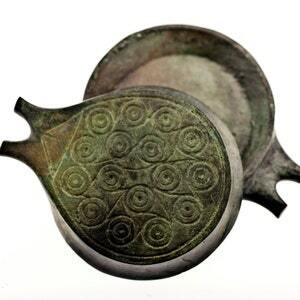 The paperweight is cast in bronze with an antique finish. 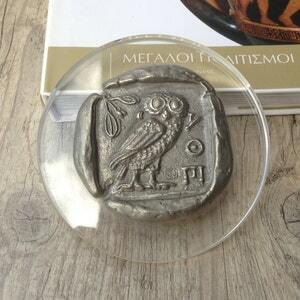 As this item is handmade, measurements, surface texture and color may vary slightly.